Over the past six months in the personal computing world, there has been much ado about Ultrabooks — thin, lightweight laptops with Intel-determined technical specifications that compete with Apple’s MacBook Air. 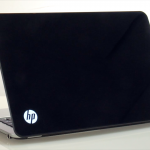 Windows PC makers like Dell, Lenovo, Asus and Acer have all introduced Ultrabooks, and Hewlett-Packard, the world’s largest computer maker, has gotten into the game as well. 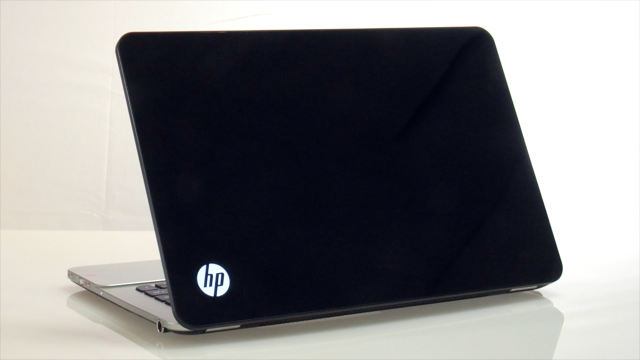 This week, I’ve been testing the HP Envy Spectre 14, a glass-covered laptop that falls into the Ultrabook category. 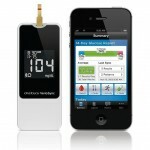 The Envy Spectre hit the market in February, and the base model currently retails for $1,400. I liked the Envy Spectre. It’s eye-catching, lighter than the laptop I usually carry, and zippy in terms of its processing power. 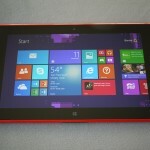 But compared to other Ultrabooks, it’s heavier and more expensive. It’s really more of a premium product, rather than an ultra-light laptop. Also, there were a couple elements of its design, such as the fact that it wasn’t tapered and the lid was hard to open, that might prevent it from being my main laptop squeeze. The Envy Spectre 14 is 20 millimeters thick — just over 0.79 inches — and has a 13.3-inch-wide body with a 14-inch-diagonal LED-backlit display. It weighs just shy of four pounds. In comparison, the Dell XPS 13, which AllThingsD’s Walt Mossberg recently reviewed, is, at its largest point, 0.71 inches thick and just under three pounds. The 13-inch MacBook Air, which at its largest point is 0.68 inches thick, also weighs in at 2.96 pounds. 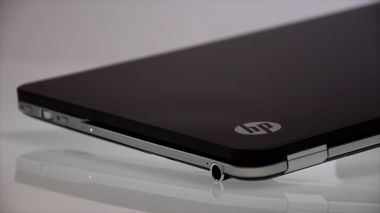 Despite its thickness, the HP Envy Spectre 14 is an attractive laptop. Its aluminum body is covered with Gorilla Glass, the thin, chemically-strengthened glass that makes up the displays of many smartphones and tablets. 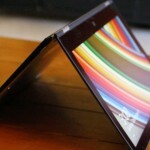 The glass is layered over three areas of the laptop: The lid, the 1600 by 900 pixel display screen and the palm rest. The trackpad is coated with chemically etched glass, which gives it slightly more traction than the cool-to-the-touch, super glossy Gorilla Glass. The glass is scratch-resistant — I threw my keys into my laptop bag a few times, and the laptop wasn’t scratched — but it’s definitely not smudge-resistant. As with my smartphone and iPad, it was only a matter of time before the Spectre was covered with cloudy fingerprints. 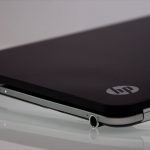 Fortunately, HP has included a protective case with the laptop. The Spectre comes with a 128 gigabyte solid-state drive, 4GB of memory, runs Windows 7 and is powered by an Intel Core i5 processor, with the option to upgrade to a faster i7 processor for an extra $200. For an additional $300, you can also get a 256GB solid-state drive. When I fired up the Envy Spectre for the first time, I noticed how quickly it booted up and how fast it was compared to my regular laptop, a fully loaded MacBook Pro. I downloaded iTunes, purchased a new album, installed a new Web browser and ran multiple Web pages at once, including a video-streaming site; even with all that going on, the Envy Spectre didn’t seem to slow down at all. 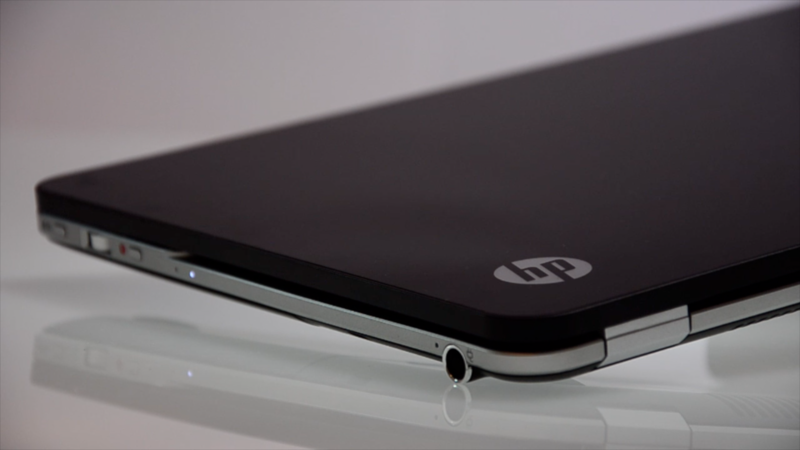 HP claims 9.5 hours of battery life with the Envy Spectre, provided that the user has the laptop set to HP’s recommended power-saving settings. In my test of the Spectre, which involved turning off power savers and setting the display to full brightness, connecting to Wi-Fi, playing an iTunes playlist nonstop and running an email application, the battery lasted just over five hours. With more normal usage, I estimate you’ll get about an hour more. After a week with the Envy Spectre, there were a couple of elements of its design that bugged me. The first is that it’s actually difficult to open. There’s a barely-there lip on the lid of the laptop, and every time the device was shut, I had to dig my nails around the edges to pry it open. I also noticed that the Envy Spectre’s screen doesn’t recline as far back as some other laptop screens do. This laptop has a dropped hinge so the bottom of its display butts up against the keyboard, physically preventing it from going back further. I compared the Spectre to an Asus Ultrabook and even a MacBook Pro, and both laptops opened up wider than the Spectre does. 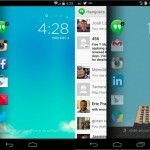 For users who prefer a wide range of motion with their laptop screens, this could be a drawback. But there were aspects of the hardware that I liked. The LED-backlit keyboard is a nice touch, and the keys had a velvety feel to them. The keys also have proximity sensors that sense when the user has stepped away from the laptop for an extended period, dimming the backlighting and acting as a minor battery-saving mechanism. While some people are used to function keys performing common shortcuts — such as F5 for refreshing a Web page — I liked that the Spectre’s function keys adjusted display brightness and controlled music playing. There’s an easy-to-access volume-control wheel on the right-hand side of the keyboard. This is part of HP’s Beats product, offered in select computers, which is supposed to produce better-sounding audio. While Beats audio isn’t going to replace the sound system in your home or apartment anytime soon, the music tracks I listened to through the laptop sounded fuller with Beats, especially when heard through headphones. Unlike the MacBook Air, the Envy Spectre comes with an expandable built-in Ethernet port, along with two USB ports, an HDMI port and a Mini Display port. 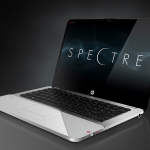 There are also some other sweeteners that HP threw in with the Envy Spectre 14, including Adobe Photoshop Elements and Premiere Elements (which photo and video hounds will appreciate), a two-year warranty for the price of one year and a two-year Norton AntiVirus software package. 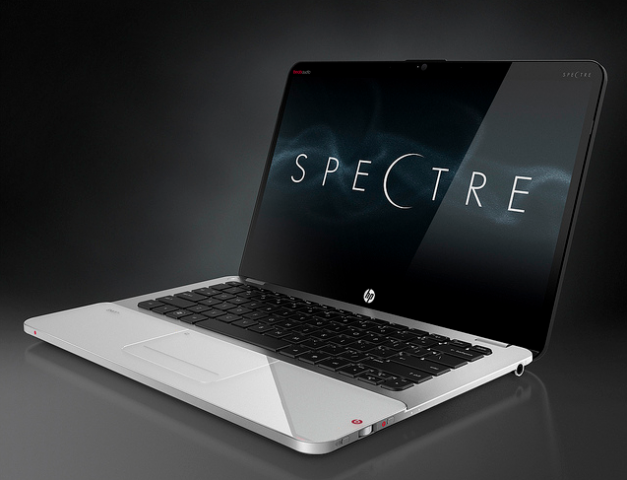 I would recommend the HP Envy Spectre 14 — but as a premium laptop, not as an Ultrabook. For consumers who want a super slim, lightweight laptop, there are options with similar technical specifications that weigh in at under three pounds and cost less.